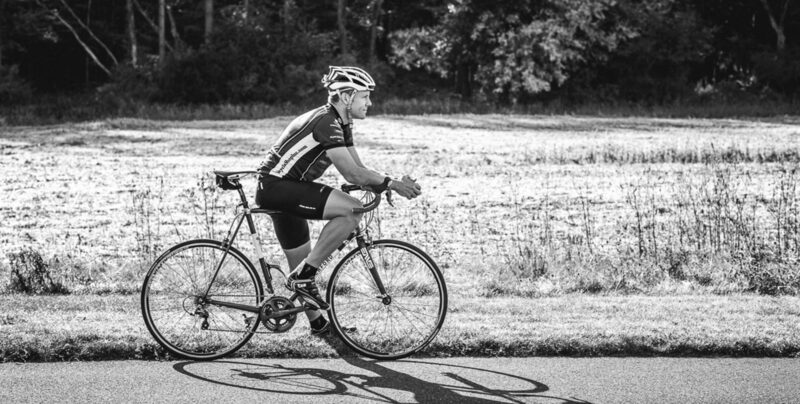 This may sound crazy from a guy who’s spent the last 20 years competing in endurance sports, but I’ve come to the conclusion that endurance is overrated. As a matter of fact, I now realize there are times in my life I should have considered endurance a mark of shame rather than a badge of honor. Years ago I was looking for a way to stay in shape and decided to run a marathon. Like many others, I considered the marathon to be an admirable fitness goal. Since my running background was minimal, I bought a “Marathons for Beginners” book and eagerly followed its advice. 90% of the book’s pages stressed one point: Build your endurance. Begin with short runs and slowly over time build up the distance of your runs until you can shuffle along for the entire 26 miles. I followed the plan and after a few months I was sufficiently trained to go the distance. The marathon was grueling but I finished and got the t-shirt. You know what else I got? A serious case of achilles tendinitis and a strong aversion to ever running again. The constant, repetitive motion of training at about the same pace and at about the same intensity for so many miles burned me out, both physically and mentally. Indeed! I agree with you. Learning to face adversity, stick to one’s guns, and fight through hard times is important. In my experience, though, we often face adversity and fight through hard times sooner than we should. Is success – and one’s happiness – 90% dependent upon one’s ability to suffer? Or is success mostly dependent upon one’s ability to learn and adapt? First, I focused on endurance. Second, I focused on speed. Third – and last – I focused on form. By focusing on endurance first, I’m suffering through most of my runs and forming terrible habits before I pay attention to what’s more important: speed [i.e. efficiency] and form. The solution to avoiding the endurance death spiral: REVERSE the order of focus. How can I run more effortlessly? Where does my body need to be stronger and more flexible in order to run smoothly, lightly, quietly, and happily? 2. Next, and only after my form is very good, add SPEED. How can I maintain that perfect form while moving faster? 3. Finally, and only after I’ve mastered steps one and two: build ENDURANCE. How can I maintain that form, move quickly, and cover a longer distance? In most cases, we learn through repetition. Learning through repetition is OK, but make sure the “reps” you’re performing are done properly! Before you spend too much time pitching your new product to 30 people every day, ask your sales manager if you can shadow a top performer and observe his/her tricks of the trade. Before you start grinding out hundreds of laps with that awful form, read a couple books and do some video analysis on your form. Figure out how to stop fighting the water and instead move effortlessly through it. You find yourself suffering through countless time-wasting meetings. Research best practices for minimizing meetings and making them more efficient. Share your research with your colleagues and encourage them, along with you, to try a better way. No writer or coach I’ve ever encountered better emphasizes this “form over endurance” philosophy than Terry Laughlin. Terry is the founder of a swim coaching method entitled Total Immersion. Even if you’re not a swimmer, I encourage you to follow his blog and read his books. Coach Terry is constantly extolling the value of good form, and you’ll find countless ways in his teachings to apply those principles in other parts of your life. If you ARE interested in improving your running form and improving your fitness, here’s a feat I’ll argue is more beneficial and gratifying than shuffling through a marathon: Run a 5K in under 21 minutes, and do it barefoot. Almost impossible to lack strength & flexibility and still run that fast. Almost impossible to run with bad form in your bare feet. Previous PostPrevious Would the Navy SEALs approve of your job screening process? Probably not. Next PostNext You have a perfect resume? Don’t call me. For more than 20 years Ben has led sales teams that delight their customers and crush their competition. If you’re a believer in fancy logos, pretty brochures, Google ads, and big data you will hate Ben. If you believe your company’s success depends mostly on trusting relationships and flawless execution, Ben’s the guy for you. Ben lives in State College, PA with his wife, three daughters, and foofy but badass dog Ginger. He’s a longtime competitive triathlete and the VP of KCF Technologies, one of the nation’s fastest growing technology companies. Shark Attack? Oh, Please… You’re Already Interesting.